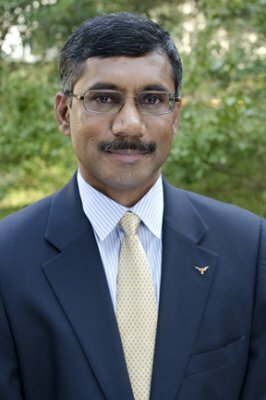 Prabhudev Konana is the William H. Seay Centennial Professor of Information Management and a Distinguished Teaching Professor at the McCombs School of Business at The University of Texas at Austin. He is the former chair of the Information, Risk, and Operations Management Department and started the M.S. in Business Analytics program at the McCombs School. Konana received the prestigious National Science Foundation (NSF) CAREER Award. His research is supported by grants from NSF, IBM, Intel, and Dell. Konana is a member of the Academy of Distinguished Teacher, the highest teaching award from UT Austin. He received The University of Texas Regents’ Outstanding Teaching Award in 2011 and outstanding professor award from graduating classes of Dallas/Fort Worth MBA Students in 2011 and 2012. He is consistently selected to the Faculty Honor Roll from both the MBA and the UG student councils. His current research interests are in digital strategies, sentiment extraction from virtual communities, and business value of IT. 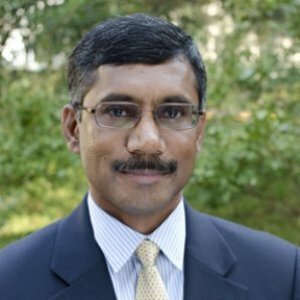 He has published over hundred articles in journals, magazines, and conference proceedings including Sloan Management Review, Management Science, Information Systems Research, and numerous IEEE journals. Konana is a co-founder of a non-profit organization to support primary education in India. He frequently writes for a leading English daily in India on social and economic issues. He graduated with an MBA and Ph.D. from the University of Arizona in 1991 and 1995, respectively.
" Net Neutrality: Why US Business School Entrepreneurs Could Be At Risk"
Prabhudev Konana, professor of information, risk and operations management at The University of Texas at Austin McCombs School of Business, is more optimistic. “I don’t believe it will hurt MBAs. In fact, there may be a need for more MBAs for telecom businesses to exploit deregulation” he says. 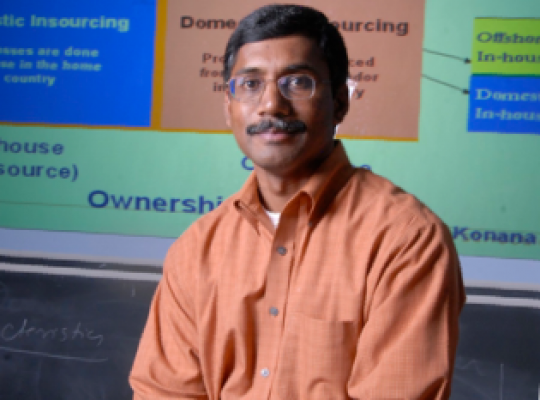 Taught by Prabhudev Konana, Professor of Information, Risk, and Operations Management at McCombs, the Strategies for Networked Economy course delves into the ways information technology is reshaping the world. “The Congress and other parties ridiculed and tried to exploit demonetization as anti-people and despotic,” says Prabhudev Konana, a business professor at the University of Texas. “But common people thought otherwise. I was shocked that even Nobel Laureate Amartya Sen and some well-known economists criticized demonetization. But an immoral economic growth is not desirable, nor do you want to build a system with the unethical and corrupt dominating. Democracy responded correctly. Last month, students and officials in the McCombs School of Business discussed this issue at their annual executive summit. The summit, themed “Navigating the Tides of Technological Disruption,” showcased a series of events focusing on how companies can stay afloat in a world of disruptive innovation. 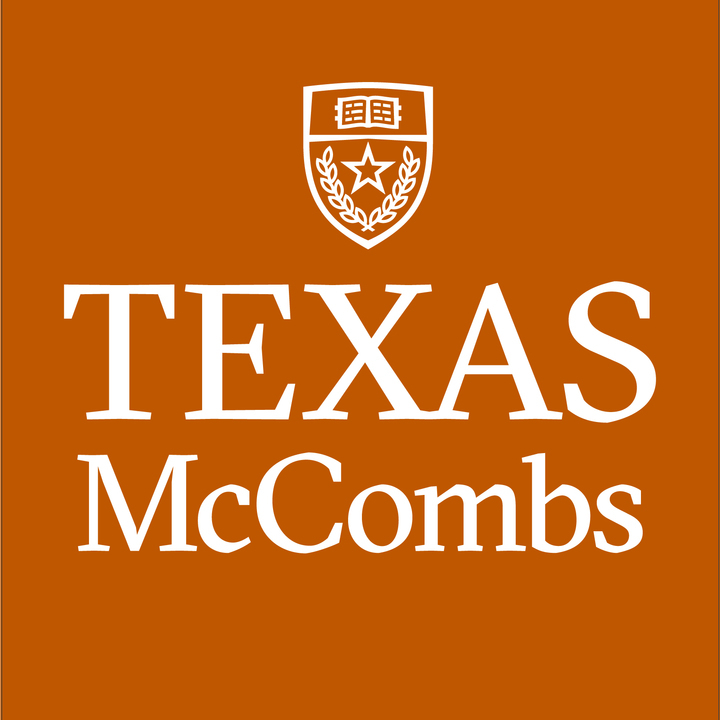 Professors, such as Prabhudev Konana at the University of Texas’ McCombs School of Business, reinforce key themes throughout their courses. Although Konana’s Introductory Information Technology Management curriculum covers the strategic implementation of hardware and software, Chirag Agrawal notes that his main message was to never take anything for granted and question assumptions and authority – a mindset that grows increasingly important as students grow in their careers. India should study the U.S. experience to foster alumni participation and corporate support, and lower the cost of higher education and make it relevant. In 2013, Kartik Sawhney, a brilliant and visually impaired student, was not allowed to take the Joint Entrance Exam for the IITs, as the system expected rigid adherence to outdated test-taking norms. Luckily, he got admission into Stanford University with a scholarship. Some call this brain drain. On the other hand, Prime Minister Narendra Modi, while addressing Indian-origin professionals in Silicon Valley, argued that this is brain gain, as millions of successful Indians in the U.S. bring back knowledge to India. There is truth to this assertion. India should then cherish the dramatic increase in the number of Indian students in the U.S., from 31,743 in 1995 to more than 1,02,000 today. "Instead of a 10 percent return, they might make an 8 percent return. But that person has gained a lot of other things, knowledge accumulation, control, that probably make up for more than 10 percent," said Prabhudev Konana, an assistant professor in the Graduate School of Business at the University of Texas at Austin who co-wrote Understanding Online Investors: An Analysis of their Investing Behavior and Attitudes. In short, investors might be slightly worse off, but they're happy, maybe learning something, and that's what's important. Konana and the other authors polled more than 800 investors using the Web site of a major online brokerage they agreed not to name. They surveyed the investors to see why they traded and how happy they were. Listing of top scholarly works by Prabhudev Konana. We analyze the underlying behavior of distinct subnetworks formed by correlated user searches for multiple items in the stock market and use such information for return prediction. Virtual communities continue to play a greater role in social, political, and economic interactions. However, how users value information from these communities and how that affects their behavior and future expectations is not fully understood. Stock message boards provide an excellent setting to analyze these issues given the large user base and market uncertainty. Online retailers provide a substantial amount of product information to their customers. The information includes not only product features and customer reviews, but also information on alternative products that may better fit a consumer's needs. The systematic provision of information on alternative products could have a significant impact on consumers' purchase decision process at online retailers. In this study, we analyze one aspect of the impact — the degree to which consumers consider multiple products at the purchase time. The information systems (IS) literature suggests that by lowering coordination costs, information technology (IT) will lead to an overall shift towards more use of markets. Empirical work in this area provides evidence that IT is associated with a decrease in vertical integration (VI). Economy-wide data, however, suggests that over the last 25 years the average level of VI has, in fact, increased. This paper studies this empirical anomaly by explicating the moderating impact of two measures of competitive environment, demand uncertainty, and industry concentration, on the relationship between IT and VI. This paper examines the antecedents and consequences of Internet use in the procurement process. Virtual communities are a significant source of information for consumers and businesses. This research examines how users value virtual communities and how virtual communities differ in their value propositions. The results of this study show that firms tend to choose domestic outsourcing for processes that are high in modularity and offshore outsourcing for processes that are low in modularity. Further, when processes can be detached from a firm's IT infrastructure, firms tend to use offshore outsourcing. This paper addresses processes through which business value is created through such Internet-enabled value chain activities.The analysis suggests that while most firms are lagging in their supplier-side initiatives relative to the customer-side, supplier-side digitization has a strong positive impact on customer-side digitization, which, in turn, leads to better financial performance. The findings of this study suggest that perceived trustworthiness of an online broker is a significant antecedent to investors' satisfaction, and that perceived environmental security and perceived operational competence impact the formation of trust. The results have important managerial implications.